On paper England have the stronger batting line-up. The likes of Cook, Pietersen and Trott all average around 80 runs per match. Ian Bell lags behind on 69.75 but can’t be written off after accumulating 562 runs during the summer. These numbers all look good for England supporters but from a betting perspective they are best avoided. 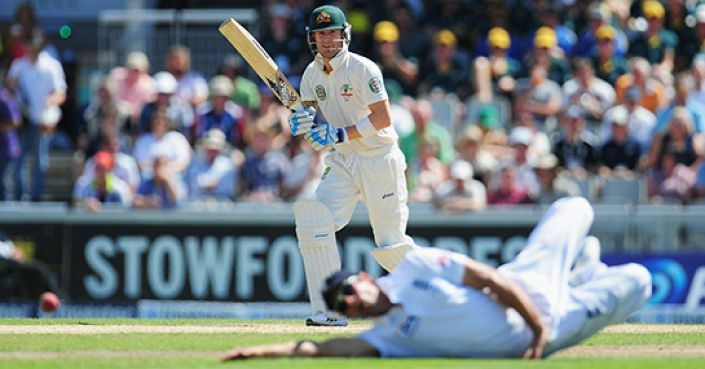 When it comes to backing the leading run scorer Michael Clarke is a sound investment. The Australian captain averages 78.93 runs per match but this rises to 88.43 for Tests on home soil. No player in the Australian squad is within 10 runs of either number, which shows just how important Clarke is to the team. Guaranteed to play every Test match, barring his back injury flaring up, Clarke should get plenty of opportunities at the crease and at 5/2 (Betfred) he must be backed to be Australia’s leading run scorer during the series.